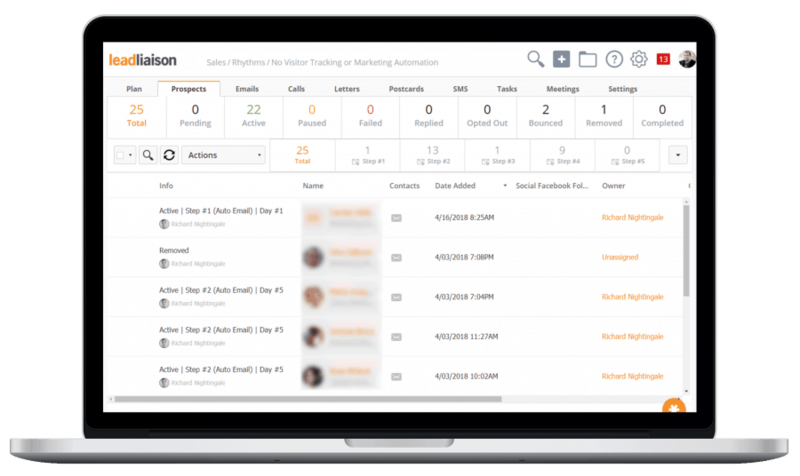 Personalize communication, prioritize activity, book more meetings, and close more deals with Lead Liaison Rhythms™. See why sales is much easier once you’ve established a rhythm! 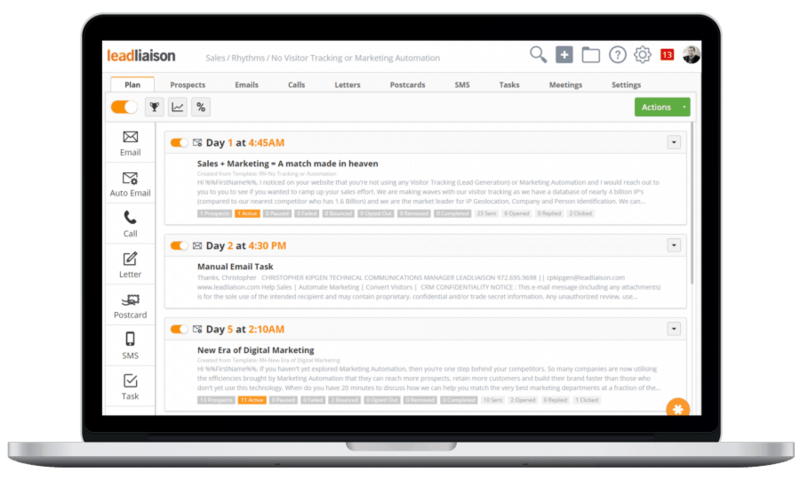 Benefit from other Lead Liaison Services, such as a marketing automation, event management, a CRM and more. All of which are natively integrated into one platform. 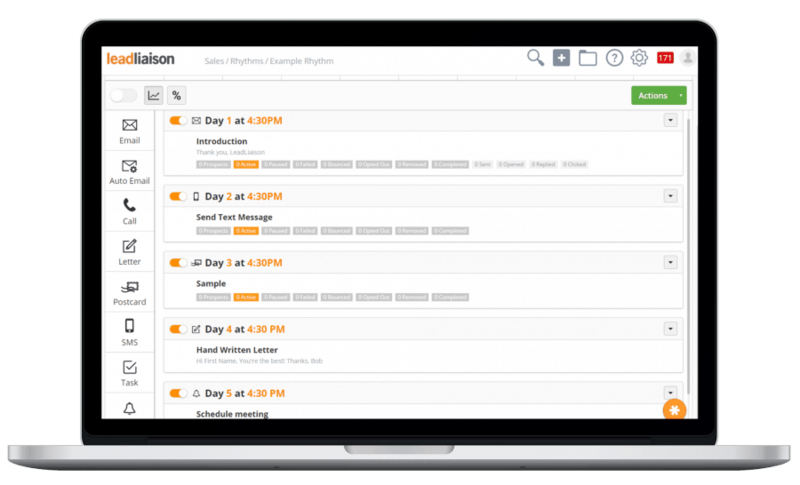 Automatically detect when someone is out of office and delay communication until they return. When a recipient replies they’ll automatically complete the Rhythm™. Approach accounts from different angles with a combination of digital and offline communication. Email, postcards, and handwritten letters make Rhythms™ the heart of any ABM strategy. 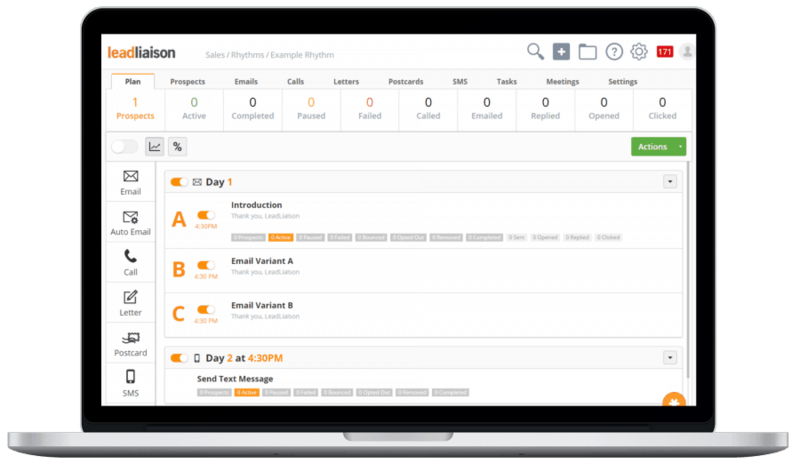 Tasks are automatically created and prioritized using Lead Liaison’s Task Manager. Select one or more tasks and a task wizard guides you through tasks to help maximize productivity. Use different versions of emails to see which ones stick. 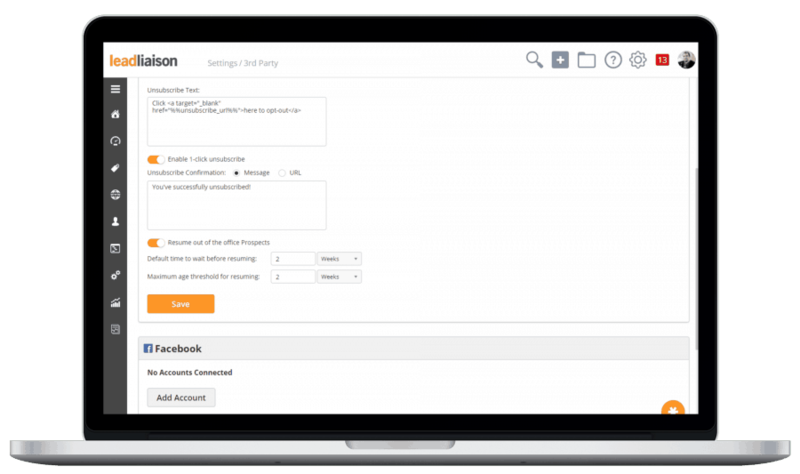 Once you’ve got your data, select your winner and start booking your meetings! 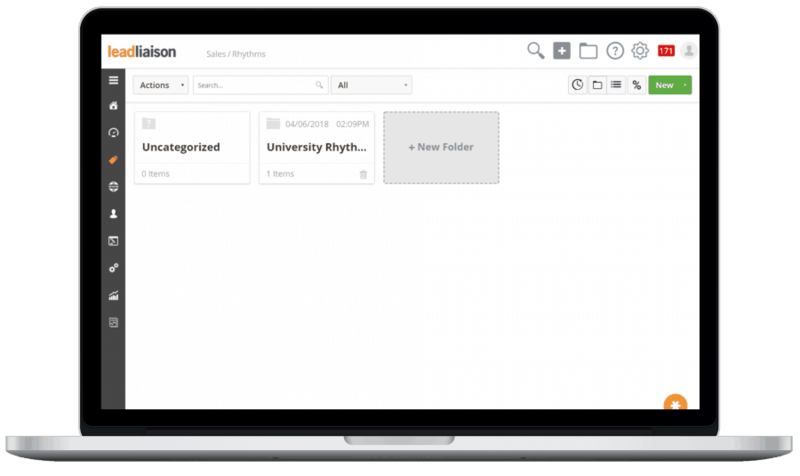 Easily see activity and engagement across all steps of your Rhythm™. Set goals to measure performance and hit personal milestones. Place your Rhythms™ into folders to keep organized. 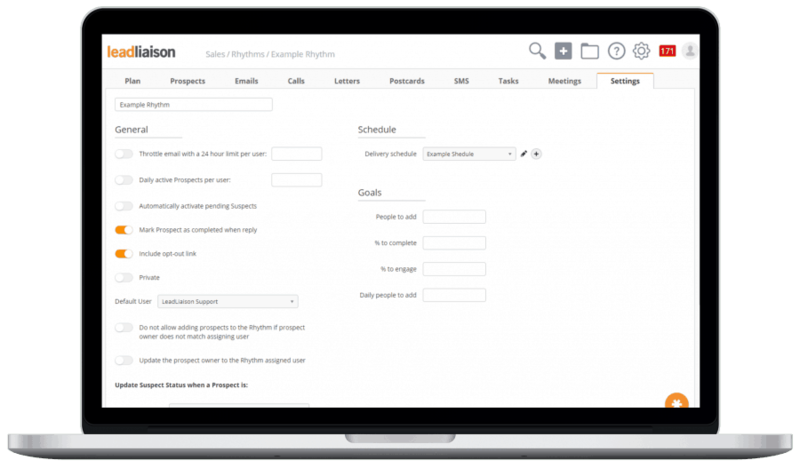 Build a plan for each Rhythm™, which acts as a playbook for all of your outreach. 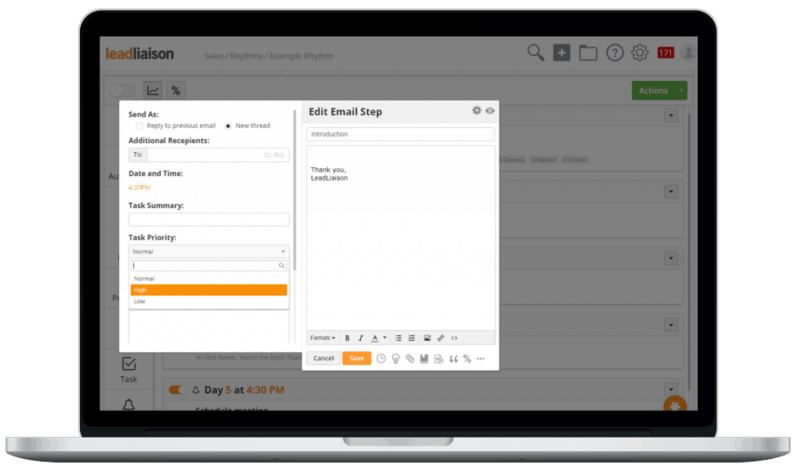 Send emails manually for more personalization or use automated emails. 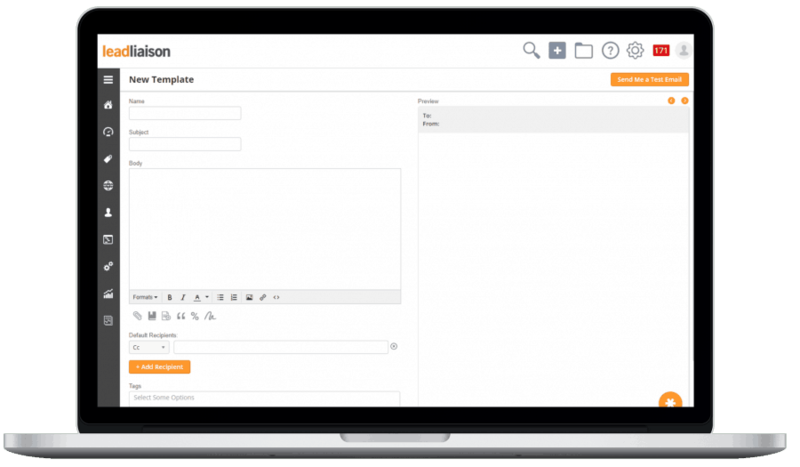 Easily create and insert templated messages into your Rhythm™ and use a wide variety of mail merge fields to further humanize communication. 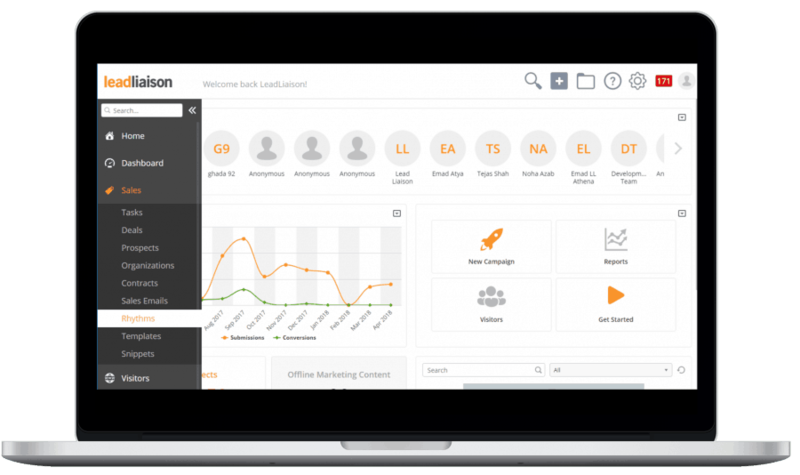 Learn more about our Sales Enablement solution here. Request a free, live demonstration of Rhythms™.